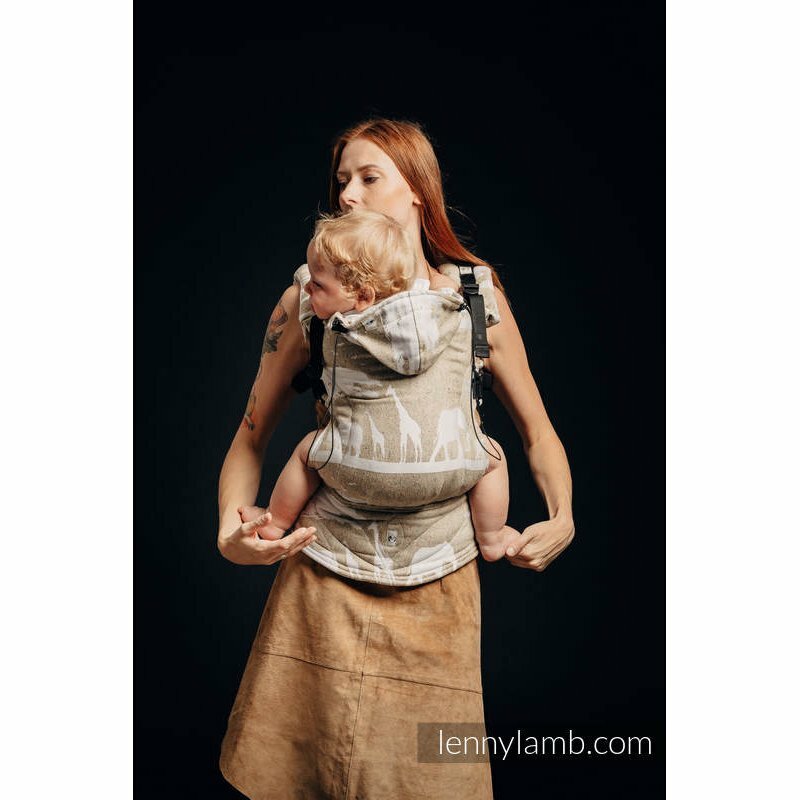 LennyLamb ergonomic carrier Safari - Western Desert for babywearing from 49% cotton, 51% silk. Ergonomic carrier is produced in two sizes - Baby and Toddler. Baby wearing LennyLamb ergonomic carrier from 49% cotton, 51% silk. Back rest has a fixed height and width. LennyLamb ergonomic carrier has a small hoddie for comfortable sleep od your children. 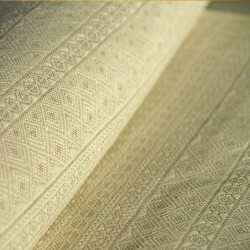 The hip belt is padded and it is fastened by a clap with a safe guard against unfastening. The size of the hip belt is adjustable.